Profitability is at the core of any business. The more money you bring to investors and owners, the more valuable you become. So, if there’s a simple way to make your business more profitable, you should perk your ears. The good news is that there are many ways to do just this. For example, compare the horsepower requirements of equipment you purchase and choose the equipment that will require less energy. Consider a more dramatic example—this time from real life. 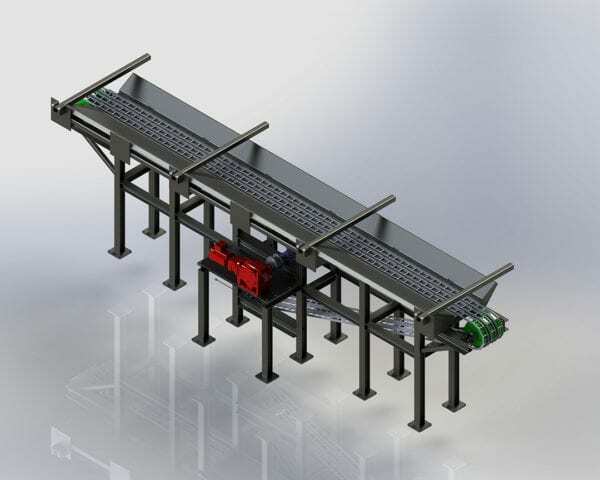 We designed a log deck and trough that uses multiple, ¾-horsepower motors instead of a single, 60-horsepower motor, which is typical on this type of equipment. We built a deck with eight strands, which require a total of six horsepower to operate. If you want to save money on electricity, you will have to purchase equipment that is more efficient. It’s doubtful you’ll get such savings from future energy prices. Prices have remained fairly constant in terms of kilowatt hour for the past sixty years when adjusted for inflation. So, pay attention to power requirements. Lifetime costs will bite you if you don’t consider anything past the up-front sticker price. Make sure to sign up for our e-newsletter. Click the button below to sign up! 1Numbers from a theoretical drag conveyor that moves material 100 feet on a level surface for 40 hours a week at 100 percent capacity. 2Horsepower numbers from actual machines. Estimated 80 percent motor capacity. 20 hours a week of use was chosen for demonstration in this article. This article was posted in General and tagged Efficient Equipment. Bookmark the permalink. Follow comments with the RSS feed for this post.Post a Comment or leave a trackback: Trackback URL.